Every year people decorate their yards with numerous items for the holidays. 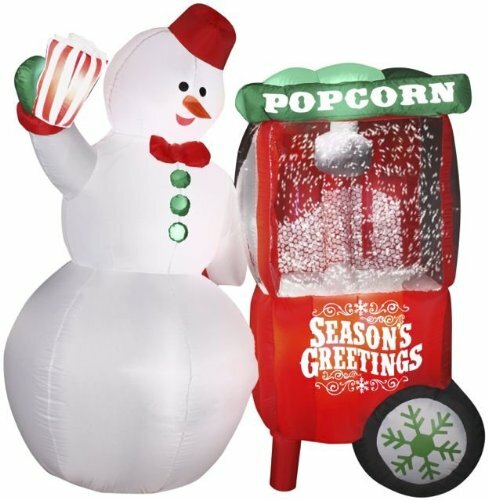 This makes animated outdoor snowman Christmas decorations a great option for people looking to add some Christmas cheer. I love snowmen and using artificial ones is really the only choice when you live in a hot place like I do and do not ever see any snow. Though I would imagine they would look beautiful in any one’s yard considering a regular snow man can’t move or light up. Not only do they scream “Merry Christmas” with their appearance, but these outdoor snowman decorations are all animated with some sort of movement that allows them to be interactive to those driving by or visiting your home. They also use enclosed lights so they never blend into the background of your yard scene. Every year people in your neighborhood will look forward to seeing what will be placed up for your Christmas outdoor decorations. Click to see more snowmen. My old neighbors used to go all out each year with a full Christmas scene that included snowmen, reindeer, Santa Claus, elves, and multitude of other holiday characters. It was always exciting to see how the scene would be set up and they almost always added a new outdoor item each November/December. This is something that I would hope to do whenever I finally move back into house. They are a great investment because they can be used over and over even if you just set up the same scene. When looking around for possible ideas, I found the snowmen that looked the jolliest and had very obvious animation. I wanted more than just the simple blow up outdoor snowman decorations so that the outdoor scene will be more dynamic. These are the things I like about all the items I located, not to mention that they all look very different from each other so that at least one of them will more than likely fit into someone’s decorating ideas. If I had a yard that could take one these great decorations I would choose the Christmas Inflatable Snowman Snowflake Snow Globe yard decoration. There are a few obvious reasons for this. • It is a giant snowman! 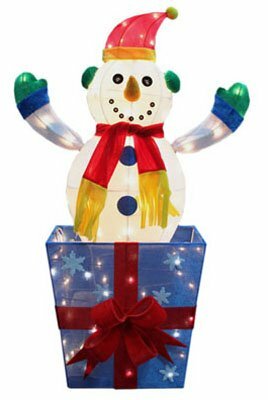 • They are all giant snowmen but this one lights up and has a giant snow globe in the middle! 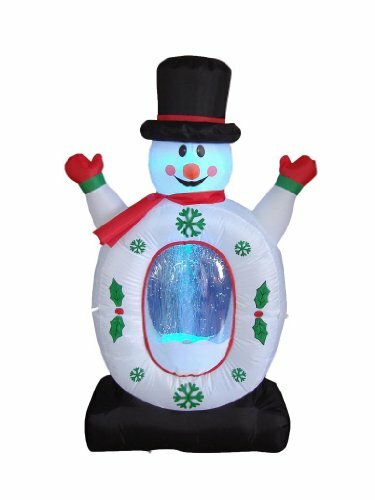 • It will look amazing in anyone’s yard especially in the middle of the night when everyone can see the snow flurries at work with the blue background. Do you currently use any outdoor decorations? Would a snowman look great in your current collection?